TheaterXtreme provides one-stop shopping for home audio, video, automation, control technology, furniture, design assistance and accessories. Custom Audio Works Inc of Carnegie, PA offers sales, service and installation of custom audio and video systems. Being Pittsburgh’s #1 audio/video installation company, our experienced technicians make sure that jobs are done right the first time. Future Communications is a Pittsburgh based company who sells, installs and services consumer electronics. Our services include TV installation, home theater installations, whole home audio systems, security camera installations, low voltage wiring, theater rooms, commercial audio and video, satellite systems, and many other low voltage applications. We have been providing excellent service to the Pittsburgh and surrounding areas for over 5 years. We pride ourselves on our prompt professional services. Our friendly technicians will be sure your installation is stress free. Please browse our site to find out more about our services. 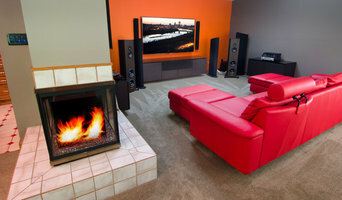 Pittsburgh's premiere home automation, theater and audio company. Creating a sanctuary you can truly enjoy with the simple touch of a button. Allow me to introduce you to a company designed to make purchasing your home entertainment system not just easy but fun. The company was started by my business partner and I with one goal in mind, outstanding customer service. We came from a large, upscale, Florida-based company where we designed/installed home audio/video systems. These systems ranged anywhere from $500.00 to as much as $200,000+. As the company grew, the personal service our customers had become accustom to became harder and harder to provide. This is when we decided to take our 20+ years experience and venture out on our own. 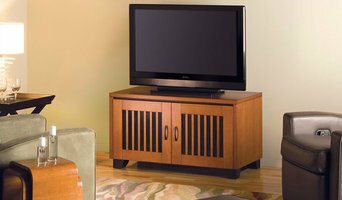 We can design and install the perfect home entertainment system for you. With our knowledge and expertise in an ever changing industry, we will make sure you have the most up-to-date equipment and make sure it is hooked up properly. When we’re finished, you will be able to sit back and enjoy your home entertainment system the way it was meant to be. And of course, we can’t forget our favorite part of the system. One of the things we noticed over the past 20 years was customers loved their customized remote control as much if not more than the system itself. This is where the name “CONTROL FREEKS” came from. There is nothing more frustrating than pushing the wrong button on one of the five remotes cluttering up your coffee table, only to spend the next hour trying to figure out what you did wrong! We have remotes that fit everyone’s needs. From the simple, TV plus a cable/satellite box system, to the full blown, dedicated theater system. We have a control system for you. Purchasing an entertainment system should be just that, entertaining, not frustrating. And we’ll make sure of it. WE GUARANTEE IT! At Elemental Home Theater, we do things a little differently than everyone else. We do not believe in restrictions or impersonal service. We intently listen to your needs before selling you a product or service. With your input, we create and offer you custom solutions that are right for you and your family. 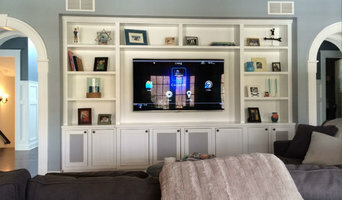 Elite Media Installations is a Pittsburgh-based home theater integration company with decades of combined experience in residential and commercial sales and installation of home theater and commercial audio and video services. Elite Media Installations has developed a seamless process to make electronic upgrades or new installations the last thing you will need to worry about while going through changes in your home or business. If you're the kind of person who loves hosting parties where guests watch the Oscars, the Super Bowl, or the latest sitcom, putting the time and effort into creating a cozy media room or theater in your Shelocta, PA home could be a good investment. But unless you're a wiring and surround-sound guru, figuring out the technical issues can get a little messy. That's where a home media designer comes in. Find a home media designer on Houzz. Narrow your search in the Professionals section of the website to Shelocta, PA home media designers. You can also look through Shelocta, PA photos by style to find a room you like, then contact the professional who designed it.